It's Saturday. And like any day of the week, we know what that means. More DC news. Yup. 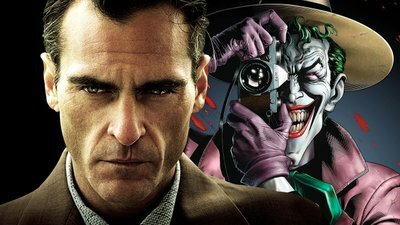 So, today it looks like the first live footage of Joaquin Phoenix as the Joker has been posted online by TMZ. In the latest video, this version of the Clown Prince of Crime seems to be wearing a classic costume set with makeup that matches the test footage that Todd Philips posted yesterday. While many aren't quite sure what exactly is going on in the DC film universe at this point, one thing is for certain. Phoenix will definitely add his own flair to this character. Fans of the comics are already noting distinguishing characteristics that may line up with some of the classic DC stories. So, hang on tight. This one might be a crazy ride in the DC multiverse.